Newly released science book revelation is set to heap further misery on UN global warming researchers. Will latest setback derail Cancun Climate conference? Slaying the Sky Dragon Death of the Greenhouse Gas Theory is now #1 on the Amazon Best Seller List in the Science category. Mišo Alkalaj, is one of 24 expert authors of this two-volume publication, among them are qualified climatologists, prominent skeptic scientists and a world leading math professor. 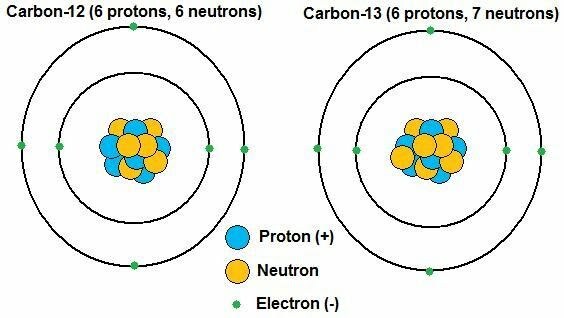 It is Alkalaj’s chapter in the second of the two books that exposes the fraud concerning the isotopes 13C/12C found in carbon dioxide (CO2). If true, the disclosure may possibly derail last-ditch attempts at a binding international treaty to ‘halt man-made global warming.’ At minimum the story will be sure to trigger a fresh scandal for the beleaguered United Nations body. Do Human Emissions of Carbon Dioxide Exhibit a Distinct Signature? Alkalaj, who is head of Center for Communication Infrastructure at the “J. Stefan” Institute, Slovenia says because of the nature of organic plant decay, that emits CO2, such a mass spectrometry analysis is bogus. Therefore, it is argued, IPCC researchers are either grossly incompetent or corrupt because it is impossible to detect whether carbon dioxide (CO2) in the atmosphere is of human or organic origin. Skeptics Out to Derail Cancun Climate Conference? Cynics are already claiming ‘Isotope-gate’ is more than just a promotional stunt to hype this book launch. They say its also deliberately timed to disrupt the latest major international climate conference in Cancun, Mexico (November 29th – December 10th). The Cancun Climate conference (COP 16) is seen as a make or break attempt by world leaders to secure a binding international treaty to limit emissions of carbon dioxide after the failure of the Copenhagen Climate Summit last year. Copenhagen was undermined by the Climategate revelations and this latest attempt by skeptics may be a repeat. The ‘Isotope-gate’ story is one of many planned promotional releases from the book and this publication is bound to cause embarrassment to delegates in Mexico if the revelations it contains become widely known. Worryingly for Cancun (and the IPCC) this new book makes far bolder claims than have been made before by skeptics. Its authors say they have scientifically and mathematically disproved the greenhouse gas theory. The theory is the bedrock of all scientific claims that humans are responsible for climate change. The 13C/12C argument being attacked by Mišo Alkalaj may be found in IPCC’s AR4 – The Physical Science Basis Working Group. The IPCC clarifies its position on Page 139 of that chapter. Therefore, decay of 95% of present-day plant material is constantly emitting the 13C-deficient carbon dioxide supposedly characteristic of coal combustion—and CO2 emitted by plant decay is an order of magnitude greater than all human-generated emissions. But a more sinister twist to the story is not just that the researchers erred in mistakenly overlooking the flaws about the 13C isotope, but that they never referred the analysis to outsider verification. As with the Himalayagate controversy, the Prentice paper was never reviewed beyond the secretive four walls of UN climate alarmism; it relied entirely on an internal uncorroborated source. Thus, there exists no proof of any such distinct ‘human signal’ anywhere in samples of atmospheric CO2 and the IPCC is discredited. Therefore, once again, the public has been shown compelling evidence of how it was duped by junk science promoted knowingly by an international gang of fraudsters. Ball, T., Johnson, C., Hertzberg, M., Olson, J.A., et al., ‘Slaying the Sky Dragon: Death of the Greenhouse Gas Theory,’ (November, 2010), accessed online at: amazon.com (November 26, 2010).